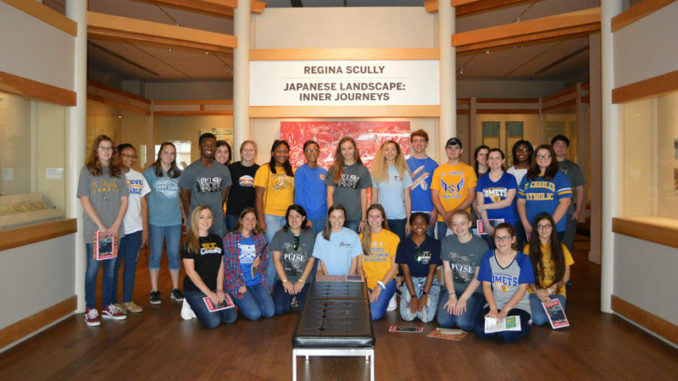 Twenty-six members of the St. Charles Catholic High School Art Club and Creative Writing Club recently participated in a field trip to the New Orleans Museum of Art. Students were led by SCC’s art teacher, Robyn Denny, through various exhibits of the three-story museum. Denny, who has a Master of Fine Arts degree, highlighted specific works in each room, while focusing on the paintings of Regina Scully, a contemporary artist based in New Orleans. Students were later led through the Sculpture Garden in City Park. After lunch on the grounds, club members sketched or wrote about the art they had seen during a period of reflection. 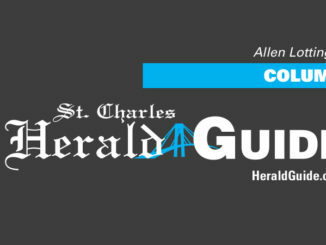 “It was cool because some people were in small groups and talked about what they saw and what it meant to them before getting to work, and others sat by themselves right away and started writing or drawing,” said Zoe Garfin, a freshman at St. Charles Catholic High School. Prior to the field trip, students discussed ekphrastic writing and art as inspiration at club meetings and used this knowledge to enhance their experience. “We learned more about the art, the individual artists, and how the techniques improved over time. We then used what we learned to inspire us in our own work. The whole time we learned how other people did it. Then we actually attempted to do it on our own,” said Hailey Hickman, a junior, about the trip.